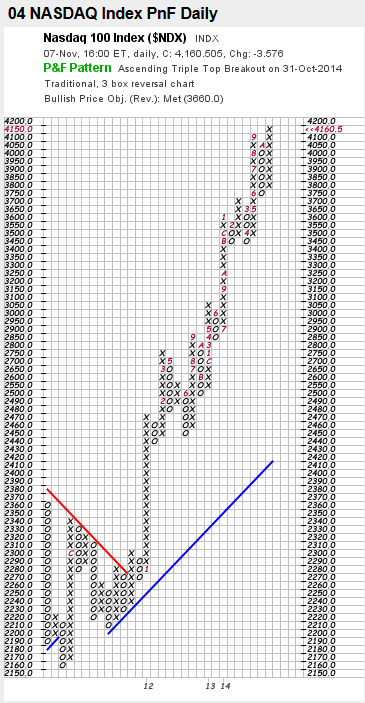 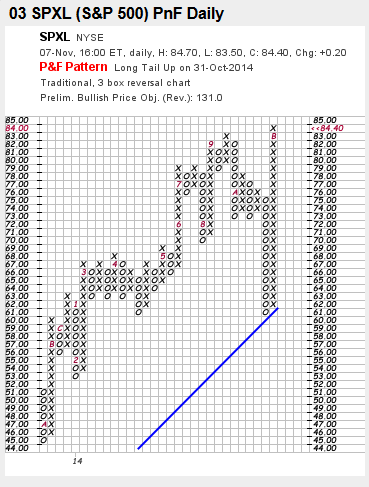 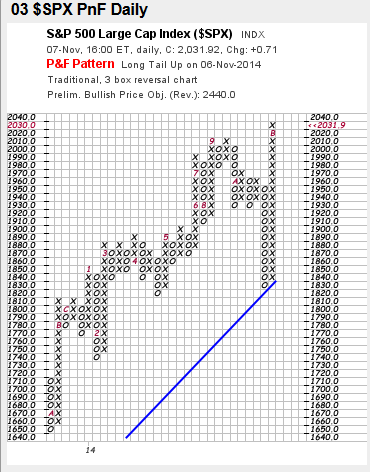 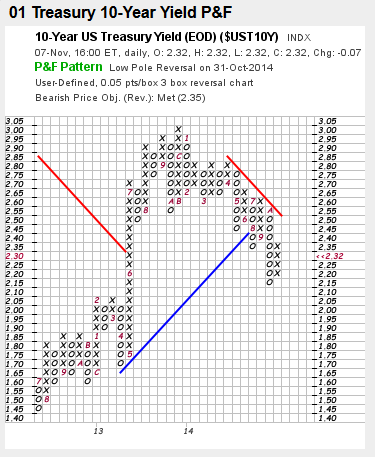 With all of the gyrations of the market on Friday it may be valuable to have a glance at some relative P&F charts. 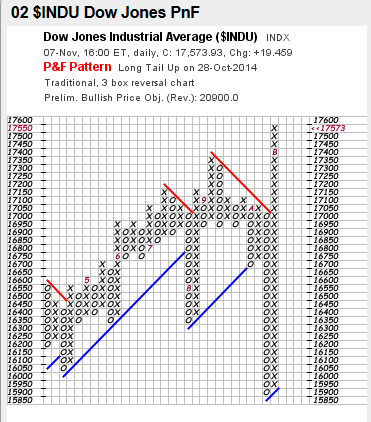 I have gathered some from Stockcharts.com. 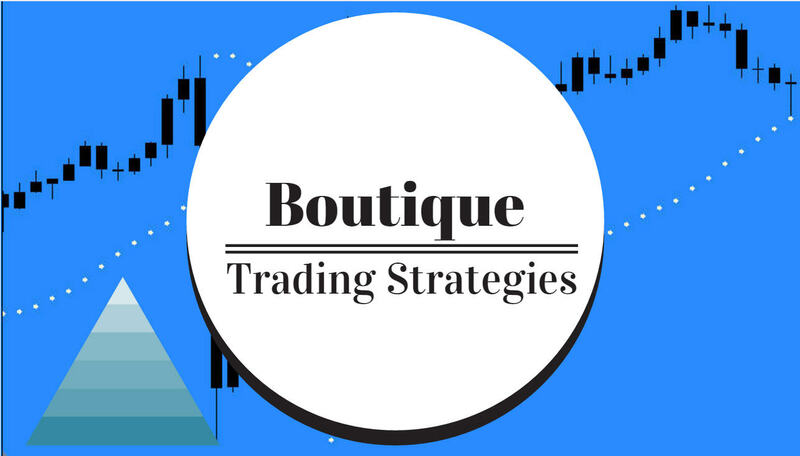 There is not much of an explanation needed on any of these.